EdmundsInline had already released in back in 2012 with some rendered photos of the 2015 Mustang that seems like a mix of Jaguar and Aston Martin with the Mustang traditions. 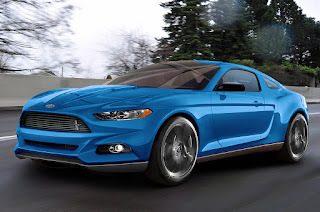 The 2014/2015 model was originally reported to be strongly based on the Ford Evos concept car, but with further developments expected to borrow styling from the concept, there has been no word from Ford whether it will share the global platform from the Fusion and Mondeo, and will more than likely have a new platform named S550. Ford has confirmed for the 2015 Mustang that they will be replacing the solid rear axle suspension for an independent rear suspension, and suggested to be matted with the famous EcoBoost engine option. 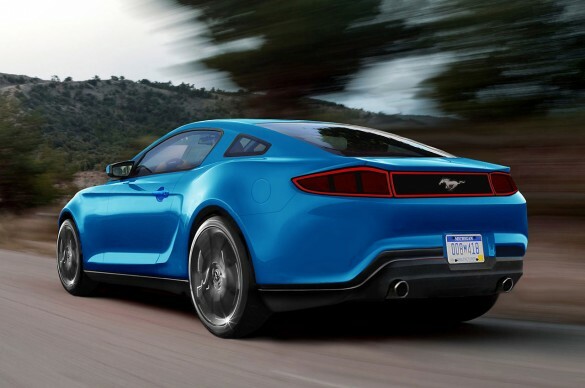 The big news for the Mustang is that the European version may come with an I-4 engined, code named Nano, with 300hp output and could make it to the States! !